At Encino Smile Design, we offer a variety of cosmetic dentistry options including veneers. To learn more and schedule an appointment, please call us at 818-986-8060. Veneers are extremely thin shells of porcelain that cover chips, gaps, stains, and other cosmetic imperfections on your teeth. Veneer technology has come a long way in the past 20 years. 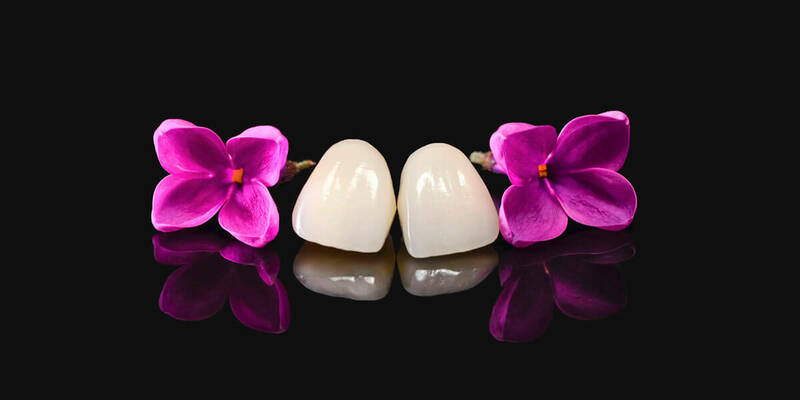 Today, CAD-CAM technology (computer aided), combined with hand stacking and pressing, allows our talented technicians to develop an extremely personalized result. Note that your teeth must be healthy to accept veneers, so if you have any existing dental health issues, those will be addressed first. Besides of some obvious reasons (like shade and congenitally small teeth or gaps), a lot of times the reason for wanting veneers is that your teeth have shortened over time. This could be a result of bruxing, TMJ or even sleep apnea. A thorough examination is needed to make sure that your veneers will last you for many years to come. Otherwise it is likely that you will break your veneers same way you have damaged your natural teeth. Please come in for a consultation, so can together find out whether veneers are the right solution for you. We welcome you to call us at 818-986-8060 to learn more and schedule an appointment.